Why do senior pupils and their parents need Anglo-Russian School? and finally to get all these advantages enjoing the compforts of home life, saving the parents’ money and additional anxiety! The target of Anglo-Russian School – to set up British Education System Arrangement in Russia combining with the Russian Secondary Education for achieving qualifiсations to gain entry to British universities. A-level British College – In The United Kingdom those students who have reached the necessary GCSE standard, who want to continue their education at University, either attend Sixth Form Colleges or Colleges of Further Education Here they prepare themselves for AS and A2 examinations in their chosen subjects. As with the G.C.S.E. examinations, A (Advanced) level examinations are set and marked by independent examination boards such as Edexcel. All examinations are written. In the U.K., part of the assessment can be made in some subjects according to the levels reached in students’ coursework and are not therefore purely dependent on examination. If appropriate marks are obtained at A level, students will be offered a place at their chosen university. Success is very much dependent on the motivation and application of the individual student and requires hard work both in class and when undertaking home assignments. Teaching process – The course lasts for two years. In the first year students study English Language, Economics and Mathematics at AS level. Some students also take the Russian AS examination. In the second year, students go on to study A2 in Economics and Mathematics, as well as an additional AS subject – currently Government and Politics..There are five taught lessons per week in each subject (though not in Russian of course). All subjects are taught in English in groups of between ten and fifteen students and contact hours compare favourably with similar A level courses in the U.K..In addition, all students receive one English Language practice lesson (I.E.L.T.S.) per week.In order to meet the differing needs of our students, we offer day and evening classes. In the evening groups, students study 3 times a week: – on Mondays and Wednesdays, from 4.30 p.m. to 7.35 p.m. and on Sundays, from 09.30 a.m. to 3.40 p.m.
Education in The Anglo-Russian School is tailored both for the students of the 10th and 11th classes of Russian secondary schools – day and evening groups – and for the graduates of these schools and University students – evening groups only. Teachers – Russian teachers will have advance training in a British college and be provided with a Certificate to allow them to teach Mathematics and Economics in English for Russian students. The British teacher will teach English language and Government&Politics. 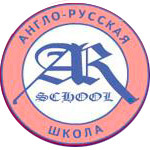 The supervising teachers from the British college are responsible for high standard of the 4 subjects of the Anglo-Russian School. Entrance – the students who are finishing 9th class of Russian secondary school will enter the Anglo-Russian School by having the positive result on English language and Mathematics tests. Reception course – the 12-14 year old children who would like to study in Anglo-Russian School in the future can have the English language reception courses in the Moscow school details as well as in the British college in Summer. Tests and Exams – During the period of education in Anglo-Russian School all students have regulary written class tests in English, Economics and Mathematics which are sent to British college for assessment. Control of education level is determined by results of these test. After the first year the students will sit AS-level exams and after the second year – A-level exams. All the exams will be organised and provided by British Council in Russia on behalf of British examining boards. The cost of Education – the cost of the 2 year study programmme is estimated as 5800-7000 US dollars depending on the chosen form of education. This does not include the cost of AS- and A-level exams fees that must be paid to the British Council. The following education and career – one of the most impotant aims of Anglo-Russian School is to prepare our students for their future education in the Russian and British universities. That’s why the Anglo-Russian School is working closely with many of them. Also the successful students will be helped to start their working activity in one of the international companies or organizations.